Real estate deals can be confusing enough, but when you need to be a buyer and a seller, things get especially complex. It can be hard to determine how to time the transaction so that you end up selling your home and being able to move into a new house without a gap in time in which you end up with no place to live at all. Securing financing can also be hard if you need the cash from the sale of one house to finance the purchase of another. Fortunately, with some simple tips, it isn't that hard to buy one home and sell another. List your house for sale. This should usually be the first step because you'll need to know that you can sell your house before you buy a new one. Otherwise, you may get stuck with two mortgage payments to make, which can cause serious financial problems for most families. Start looking for a new house and research temporary housing options. In case the timing doesn't work out, you may need to know where you can move into temporarily after your home is sold but the new home is purchased. Look for apartments that offer month-to-month rentals or consider whether you have a family member or friend you could stay with if there ends up being a gap. Try to make all contracts contingent. This means if you get an offer on your home, you can try to get the buyer to agree that the sale will be contingent on you finding a new home. Alternatively, if you find a home you want to buy, you can make an offer on that house, contingent on selling your own. This is not always possible. In a buyers market, for example, you may need to accept a buyer's terms and sell your house when the offer is made, moving into temporary housing. Likewise, in a seller's market where there is a high demand for houses, it may be difficult to get the seller to accept a contingent offer. However, it never hurts to ask. You can set the contingency period as 30 days, 60 days or even 90 days, and thus give yourself that amount of time to buy or sell your home. Secure bridge financing if necessary. 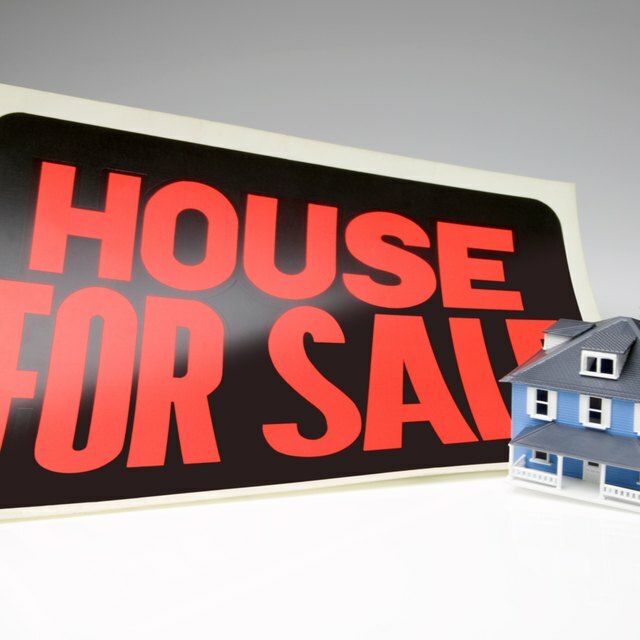 If you do find another house you want to buy, you may need the money from your existing house to purchase it. Many banks and lenders offer a bridge loan, which is a low interest loan--usually 1 or 2 percent--that allows you to borrow the money for the down payment on the new house and pay it back when you get paid for the old house. You could also consider using a home equity line of credit from your existing house to make a down payment on your new house, if you can qualify. Try to coordinate closing dates. When you make an offer on a home or sell your home, you will get a closing date in which the deal is done. Then, when you take the next step--buying or selling, whichever you didn't do first--try to get the other party to agree to the same closing date as on your original house. You may need to make some small concessions, so evaluate if it is worth it. For example, the buyer may agree to a later closing date on your home if you need to wait to move in to your new house, but may ask for a small reduction in the price. If it would cost you $500 to move into temporary housing, it may be worth it to accept the small reduction. Some buyers will also be willing to rent your own house back to you for a limited time while you wait for your new house to be ready, and it never hurts to ask.